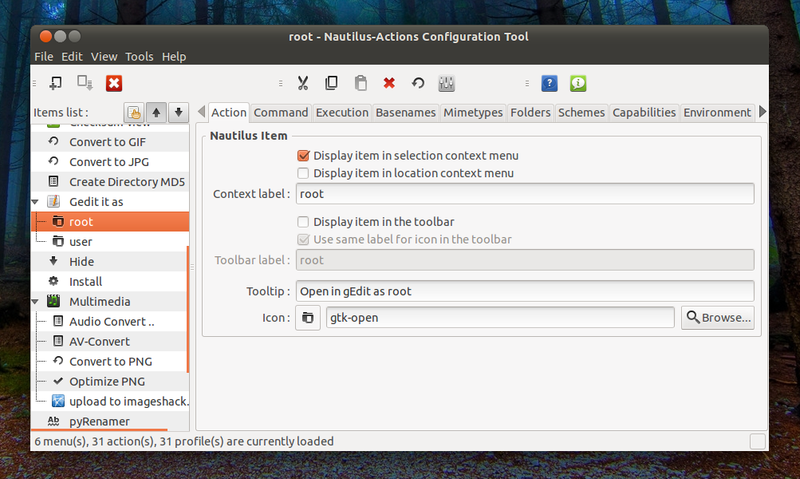 Nautilus Actions Extra provides a set of useful scripts for Nautilus 3. Among the included scripts/actions are: advanced search, open file with Gedit as user or root, set image as wallpaper, mount or unmount ISO files, verify checksum, convert image and audio files, batch rename (pyRenamer), add emblems and more. 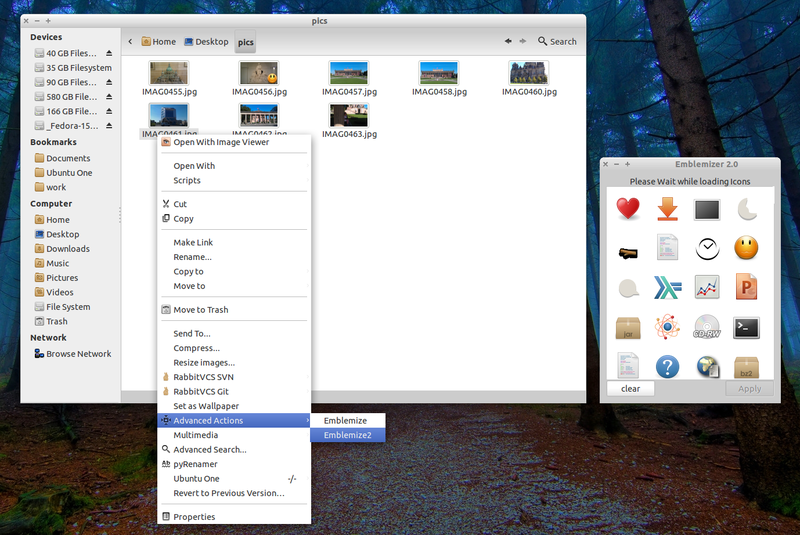 One of the most interesting scripts included is called "Emblemize2" (you can access it by right clicking on a file or folder and selecting Advanced Actions > Emblemize2), which lets you add emblems to files and folders in Nautilus 3 - a feature that has been removed from Nautilus -, but unlike the script we wrote about a few days ago, you can see the emblems before applying them. 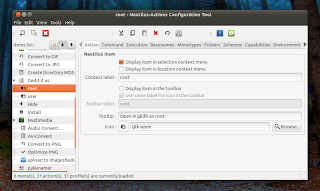 Nautilus Actions Extra requires the Multiverse Ubuntu repository to be enabled (Software Sources, on the Ubuntu Software tab). Also, be aware that it will install a lot of dependencies which are required by the various scripts it comes with. You can see all the available packages here. Then select the action(s) you want to delete, click the delete button, then save the changes (File > Save). The changes should be applied instantly, without having to restart Nautilus. 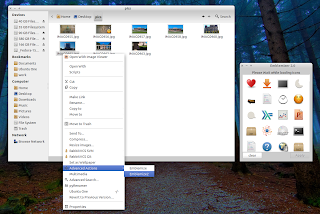 For bug reports, see Nautilus Actions Extra @ Launchpad. Thanks to Amr Osman for the tip!